The multiplayer shooter allows users to compete against other players in one-on-one matches or play cooperatively with others in a WarPath mode. Chillingo announced the launch of WarFriends on mobile. Developed by About Fun, the multiplayer shooter allows users to compete against other players in one-on-one matches or play cooperatively with others in a WarPath mode. In each battle, players can swipe to move their main character between cover spots, and they can tap or tap and hold to fire their weapons at enemies. Users can also swipe to toss grenades. As battles progress, users can spend energy to deploy extra military units to the field, such as grenadiers and machine gunners, who will automatically attack the enemy. Users will earn additional energy as they defeat the enemy’s units. Players can earn money over time, and in between battles, they can spend this cash on upgrades for their weapons and units. Upgrades take time to complete, but players can skip these timers using premium currency. As units level up, their stats will increase and they may also receive new abilities. Users can also unlock new weapons and units as they progress. Eventually, players will unlock WarCards for their armies, which they can deploy during battles to trigger special effects. For instance, one WarCard may slow the enemy down. 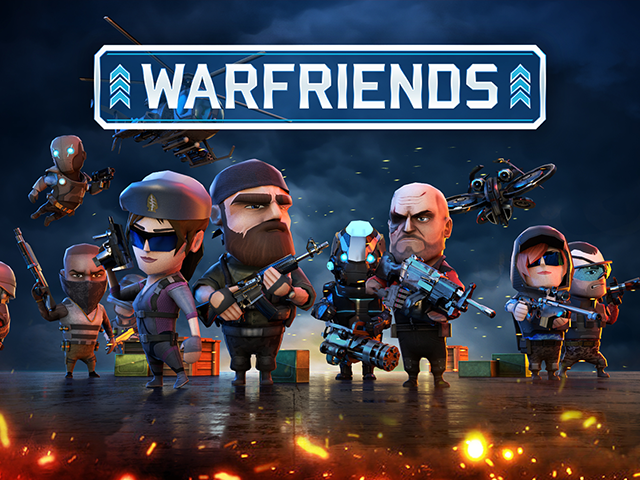 Warfriends is available to download for free on the iTunes App Store and Google Play.